I can understand how the idea of considering a wheelchair bag might not feel particularly important or exciting. Surely it’s just something to carry ‘stuff’ around in while you concentrate on the job in hand? However, for the user of a self-propelled wheelchair this may be one of the most frustrating (if they get it wrong) or essential (if they get it right) accessories they will ever purchase. Consider what we store in our bags or pockets – wallet/purse, cosmetics, pens, lists, rain coat, etc. The list is relatively endless but they are all things they we feel are needed close at hand and to be easily accessible when going about our daily lives. For the wheelchair user this may not be quite so simple given the sitting position and way that motion is engaged, particularly if self-propelling. 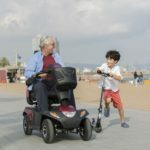 Access to essentials is just as important but consider the frustration if a bag is constantly slipping off a shoulder/knee, scraping on wheels or altering the maneuverability of the wheelchair and the impact then on functional independence. 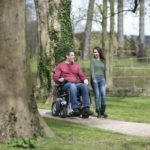 The advice below is aimed at supporting the wheelchair user to consider their options and in turn maximise their comfort and independence. How does this style give me access? For example, the backpack opens fully from the top which allows you to access the inside of the bag more easily if being positioned on the back of the wheelchair whereas something like a satchel may limit the access. The bag should not just be practical it should represent who you are, just like it would for anyone else buying a bag. I accept that in some circumstances practicality may come first but given the range available consider colour and design to demonstrate your personality and individuality (although bear in mind that a darker colour is less likely to show wear and tear if being rubbed against other surfaces). This predominantly depends on the size of your wheelchair and your range of movement. You want the bag to be big enough to store all of your items but not so cavernous that items such as critical medications, car keys or wallet/purse fall to the bottom and out of reach. The bag needs to fit snuggly to the chair when fastened without impeding the wheels or other important elements of the chairs operating systems. If you are using the chair to hold the bag you must think very carefully before filling the bag. 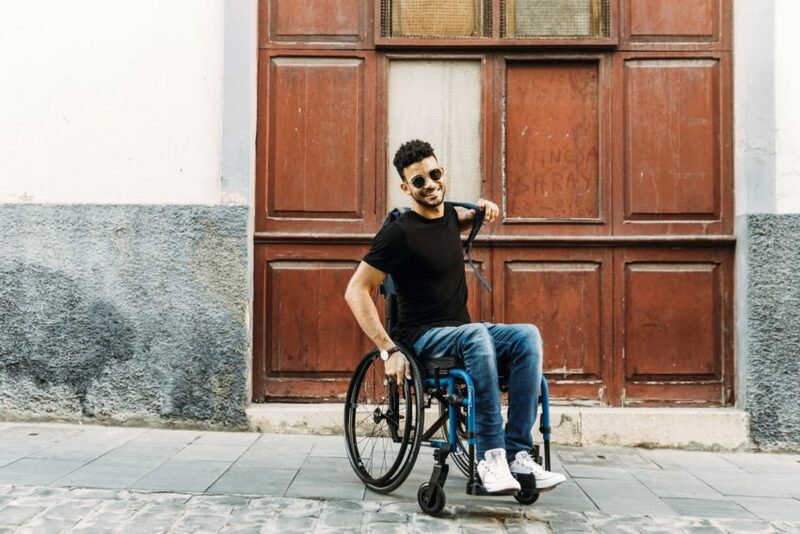 The weight of the wheelchair bag can not only impact on the performance of the chair but can also be very dangerous in terms of causing the chair to be off balance. 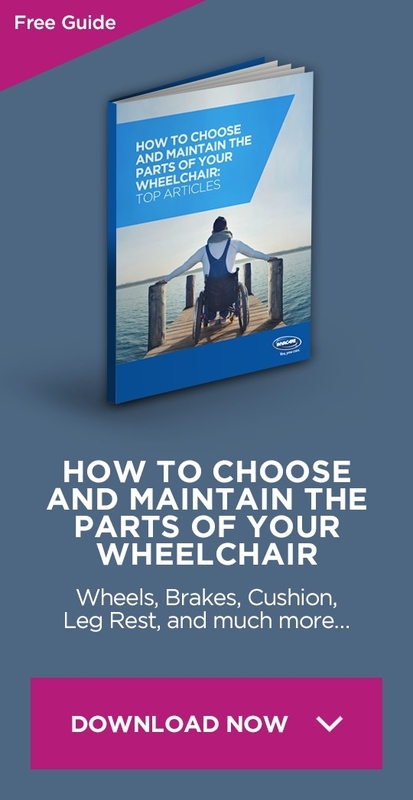 As with any alteration to your wheelchair you must first consult the user manual that will provide guidance on safe use. Leather and suede are likely to mark easily, particularly if rubbing against moving parts or if likely to get splashed. Nylon is very durable and both wash and dry easily. You don’t want to lose anything because the wheelchair bag could not be closed fully, or indeed you thought it was when it was not. As the bag will likely be hanging on the back of your wheelchair you need to ensure that someone cannot unknowingly access the contents of your bag and remove valuables. Ultimately the bag needs to be right for you – take time to consider where and when you use a wheelchair bag and what exactly you need it to do for you. 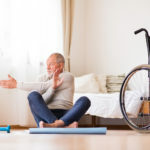 Then reflect on that within the context of your own physical needs or ability to determine how the wheelchair bag can support your independence and safety, not hinder it.